The First China International Import Expo opened on November 5 in Shanghai with more than 3,000 businesses from 80 countries participating. 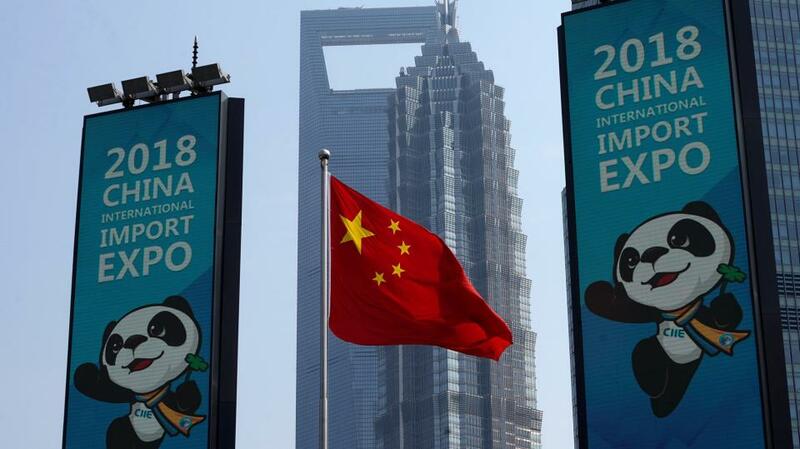 The world’s first national-level import exposition demonstrates the country is trying to turn from being export-oriented to export-import balanced, Sun Xingjie, vice dean of the School of Public Affairs and Diplomacy at northeast China’s Jilin University, writes at the The Beijing News. To become an economic power, a country needs to have a huge consumer market complete with sound market trading rules. And the market for consumer goods is also an opportunity China offers the world economy, Sun argues. America, the world’s largest economy, derives most of its economic growth from consumption, which also explains how it influences other countries. China has been the world's most important manufacturer, goods trader and exporter since 2009, relying too much on exports for some years, Sun says. But now it has seen a change in its economic mix and consumption has become a core driving force of its economic growth – contributing over half of its gross domestic production, he notes. To meet its ever increasing domestic consumption needs, China needs not just domestic suppliers, but more imports – in 2017 alone, it imported a total US$1.8-trillion worth of goods, Su writes. This has also become a major contribution of the Chinese economy to the global economy. More import is the inevitable path of the Chinese economy as it shifts gears to being quality-oriented – a goal set by the central government, the vice dean argues. Along the way there will be a transfer of some of China’s industries – like light industries – to other countries, which will be beneficial to the latter's development.